One of the significant security improvements of Windows OSs (since Vista) is User Account Control (UAC) feature. User Account Control prompts the user for approval each time when the app tries to make any changes to the system. One of the side effects of UAC is the inability to access the mapped network drives (over net use) from the applications running in elevated (privileged) mode (Run As Administrator). This means that when you run the command prompt or a file manager (like Total Commander) with elevated privileges, they won’t display the drive letters of the mounted shared folder. In this article we’ll show how to allow access to mapped network drives from the apps running in the elevated mode in Windows 10, Windows 8 and Windows 7. This problem occurs both for shared folders that are connected through Group Policy and for the folders connected by users. Important. It is strongly not recommended to completely disable UAC, even for a specific program. Indeed, when UAC is enabled you cannot access a mapped network drive connected in the normal mode from an elevated app. Let’s see what the problem looks like. For example, let’s make sure you can access the contents of the connected network drive Z:\ in the command prompt run without privileges. 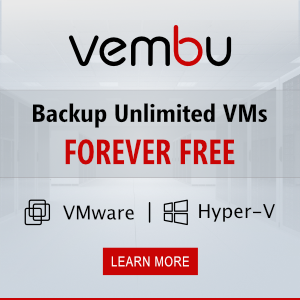 This behavior of the system can cause some inconveniences when running applications frequently in elevated mode. Why does it happen? This peculiarity is related to UAC mechanism for a user with the local administrator privileges. The matter is that when this user log in, two access tokens are created: the first token provides access with disabled administrator privileges (the filtered access token, with which most of the apps are running) and the second is the administrator token with full privileges in the system (all apps approved elevated in UAC are running in this context). 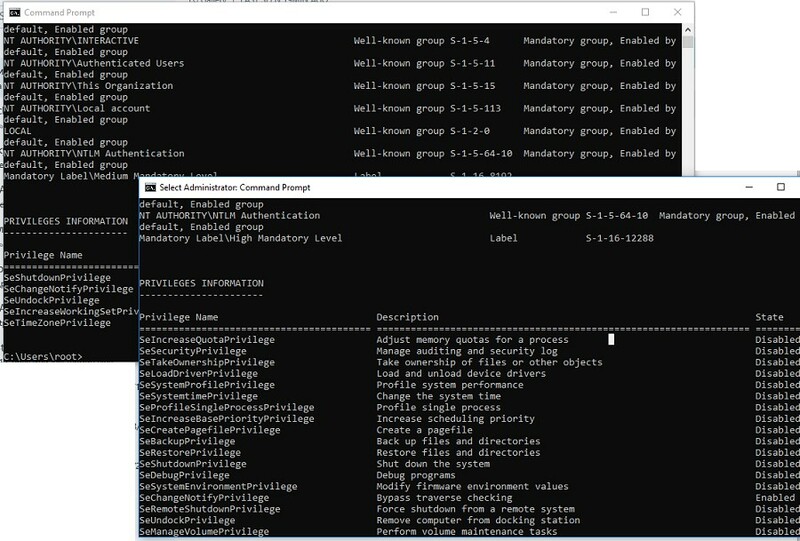 You can use whoami /all command in two cmd.exe sessions (normal and elevated) of the same user and compare the current privileges, you can see that they are very different. The following table lists the differences in the security groups and current privileges in each session. Applications under the same user may be run in two contexts when UAC enabled (privileged and unprivileged). When you connect shared network folders, the system creates symbolic links (DosDevices) that store the drive letter mapping to the UNC paths. These links are associated with the current process access token and are not available with another token. The reverse problem may also occur: when the user with administrator permissions on the computer is connecting network drives using the group policy logon scripts, schedule the tasks or SCCM jobs (which are running with elevated privileges), these drives are not visible to the user in File Explorer (unprivileged process). Tip. In Windows Server you can run File Explorer as administrator (elevated privileges). 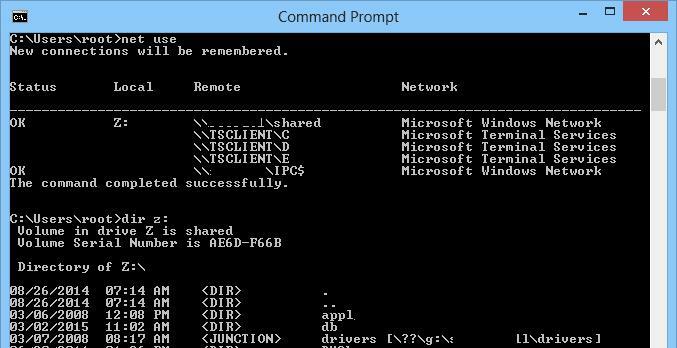 As a workaround, you can mount network drives from the elevated command prompt using the commands: net use or rundll32 SHELL32.dll,SHHelpShortcuts_RunDLL Connect . Restart your computer (or restart the LanmanWorkstation service). After the computer has been restarted, make sure that the user sees mapped network drives in the programs that are running with admin rights. The reverse statement is true: all network drives mapped in the elevated mode will also be available in the unprivileged session. Note. Unfortunately, it is not possible to enable the EnableLinkedConnections parameter using the GPO. To deploy this setting on the domain computers, you need to distribute registry parameter to the computers using GPP. How it works? After you enabled EnableLinkedConnections parameter of the registry, LanmanWorkstation and LSA will check if there is the second access token associated to the session of the current user. If this token is found, the list of the mounted network drives will be copied from one token to another. Thus, the network drives mounted in the elevated mode will be visible in the normal mode, and vice versa. The access to this drive is possible both in the standard and in the elevated mode. It should be noted that one of the drawbacks of this method is that you access the shared folder as a current user. It is impossible to use the account of another user as in the case of net use.